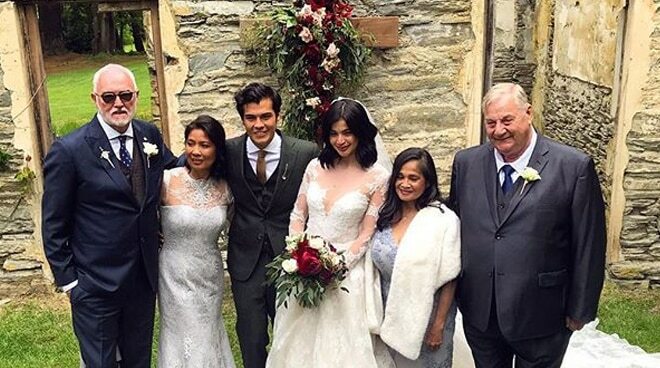 After seven years of being in a relationship, Anne Curtis and Erwan Heussaff are finally husband and wife. The two celebrities exchanged ‘I dos’ in front of family and friends in Queenstown, New Zealand in a ‘coachella’ themed wedding ceremony. After six years of being in a relationship, Anne Curtis and Erwan Heussaff are finally husband and wife. The two celebrities exchanged ‘I dos’ in front of family and friends in Queenstown, New Zealand in a ‘coachella’ themed wedding ceremony. Only LOVE! #TheWanForAnne congratulations to my friends @erwan & @annecurtissmith on their wedding. Here they are with their entourage.